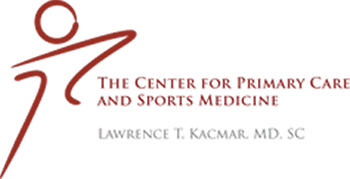 Dr. Lawrence Kacmar, MD, specializes in family medicine and sports medicine and offers physical exams in the context of both these specialties. 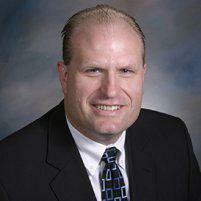 Dr. Kacmar provides care at the Center for Primary Care and Sports Medicine in Aurora, Illinois. Physical examinations are a key component of every doctor's visit. This hands-on inspection allows the physician to identify symptoms by looking at, listening to, or palpating (touching) different areas of the body. For example, the physician looks at the eyes to see if they appear normal and if the eye muscles move the way they should. Listening to the heart and lungs provides information about heart rate and rhythm, and whether breathing patterns are normal. Age affects the need for physical examinations. Children need more frequent examinations because they are still growing and developing. Most children are seen at least every three months for the first two years. Beginning at about age three, an annual examination is recommended. Adults usually need an examination about every two years if they are healthy. Both adults and children may need to be seen more frequently for chronic medical problems like developmental delays, diabetes or heart disease. Physical exams generally include some of the same components, like an examination of the eyes and ears or listening to the heart. However, other aspects might vary. Taking the patient's weight is the norm for both children and adults, but while a child's height is usually measured at each visit, an adult is measured once a year. Other variables include pelvic exams and Pap smears for some women, or a prostate check for men. Medical issues can also affect the exam; for example, a patient with diabetes may need a foot check. Are There Special Physical Exams? Although most physical exams contain similar or the same components, the focus may differ. A sports physical is designed to determine if the patient can safely play a particular sport. A school physical helps determine a child's mental, emotional and physical readiness for school, and is more extensive than a sports physical. Occupational health or fit-for-work physicals assess a patient's ability to perform a particular job, while a driver's physical focuses on the ability to drive safely.